Dr Basil Crayford is an ophthalmic surgeon who has a clinical appointment at Orange Base Hospital while performing his private surgery at Orange Day Surgery Centre and Dudley Private Hospital in Orange, New South Wales. He is a Fellow of the Royal Australian and New Zealand College of Ophthalmologists as well as Fellow of the Royal College of Surgeons of Edinburgh and the College of Medicine of South Africa. He has a Masters Degree in Medicine. This was awarded for work in the field of glaucoma surgery. His clinical interests and areas of expertise include minimally invasive cataract surgery, glaucoma management (including the use of laser and surgical procedures), anterior segment disease generally and oculoplastic surgery. He also has a wide interest in all aspects of comprehensive ophthalmology. Dr Crayford resides in Orange providing the bulk of services locally. He visits Cowra and Parkes on a monthly basis to provide access of services to patients who have difficulty travelling to the regional city of Orange. 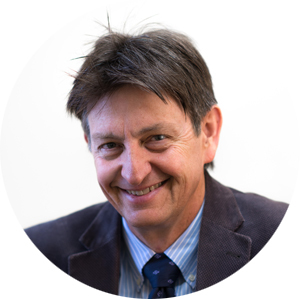 Dr Jeremy Curtin is a general ophthalmologist, with experience and training in common medical and surgical conditions of the eye, including cataract surgery, oculoplastic surgery and retinal conditions. Dr Curtin is from a medical family and hails from Lismore in country NSW. He completed his high school education at St Ignatius College, Riverview in Sydney and is a medical graduate of Sydney University. He spent his early medical years at Orange Base Hospital as an intern and resident medical officer. Dr Curtin is a Fellow of the Royal Australian College of Ophthalmologists, having completed four years of specialist training at the Royal Victorian Eye and Ear Hospital in Melbourne. He subsequently completed additional ocular fellowship training in Melbourne at Monash Medical Centre as a Retinal fellow. Dr Curtin has gone on to complete a second fellowship in cataract and oculoplastic surgery in the Wye Valley NHS Trust, in Herefordshire, England. He has the co-author of the Eye Emergency Manual, which has been distributed across all the hospitals in New South Wales. He has numerous publications in major international ophthalmology journals and is a reviewer for the RANZCO college journal. He regularly attends international meetings to keep up to date with developments in Medical Retina. Dr Tom Atkins is a consultant ophthalmologist with a long experience of general rural ophthalmology involving primary eye care and appropriate referrals to sub-specialty visiting ophthalmic surgeons. He was born in Cowra, NSW with primary schooling at Cowra Public School. Secondary schooling was at The Kings School, Parramatta, followed by his tertiary education in medicine at The University of Sydney. He resided at St. Andrews College for six years becoming senior student in 1972. Post-graduate intern duties were performed at Royal Newcastle Hospital with ophthalmic training following this a Sydney Eye Hospital. He has been the sole residential eye care provider at Dubbo for over 25 years including 15 years of permanent Dubbo Base Hospital availability. He now only keeps an ophthalmic appointment at Dubbo Private Hospital. His wide exposure to the unique conditions and concerns of rural people has allowed him to help busy colleagues at Orange and to perform sub-speciality surgical assisting at Dubbo.